Pre heat the oven to broil and line a baking sheet with parchment paper. Heat up 1 tbsp of avocado oil and 1 tsp of minced garlic in a large sauté pan. While the oil is heating brush the dirt of the mushrooms and quarter them. Once the mushrooms are quartered and the oil is hot, add the mushrooms to the sauté pan. Let them cook for approximately five minutes on medium high, stirring occasionally. Remove the bread from the oven and change the oven settings to bake at 350*F. Once the mushrooms are properly browned, remove them from heat and set them aside. 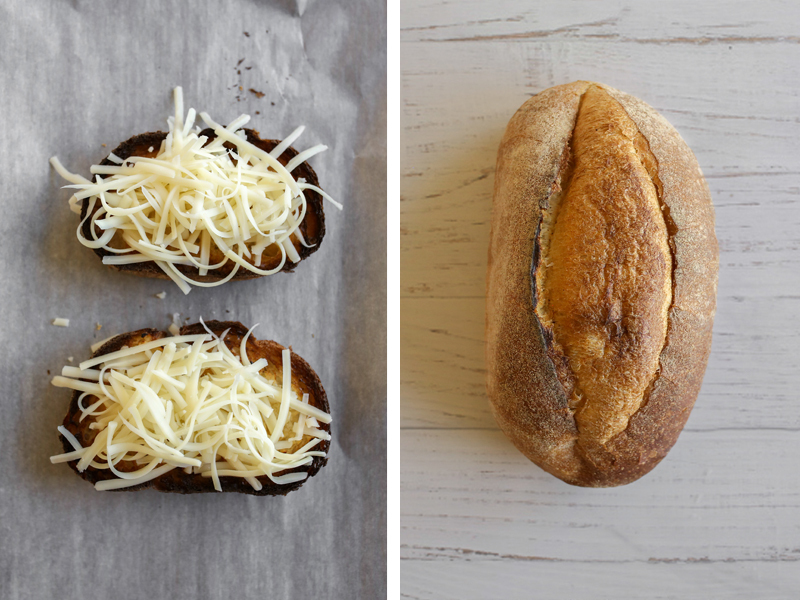 Top the toasted french bread with shredded part skim mozzarella cheese. Split the cheese between the two pieces of toast. Top the cheese with sautéed mushrooms and place the toast back in the oven for 2-3 minutes or until the cheese is melted. Remove the toast from the oven, top with finely chopped basil. Drizzle each bruschetta with balsamic reduction. Half the cherry tomatoes and add to a bowl. Finely chop 2 basil leaves and add them to the tomato mixture. Drizzle some balsamic reduction on top, mix it around and top with some freshly ground pepper. You can serve this on the side of the mushroom bruschetta or you can serve it on top. They are delicious together.